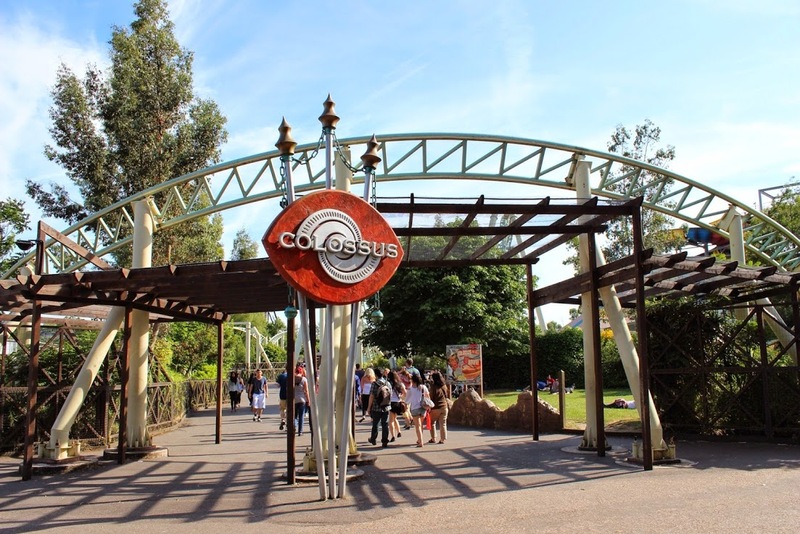 Recently celebrating its 10th birthday, Colossus was the ride that showed the world that Thorpe Park was ready to be a big-hitter in the theme park industry. 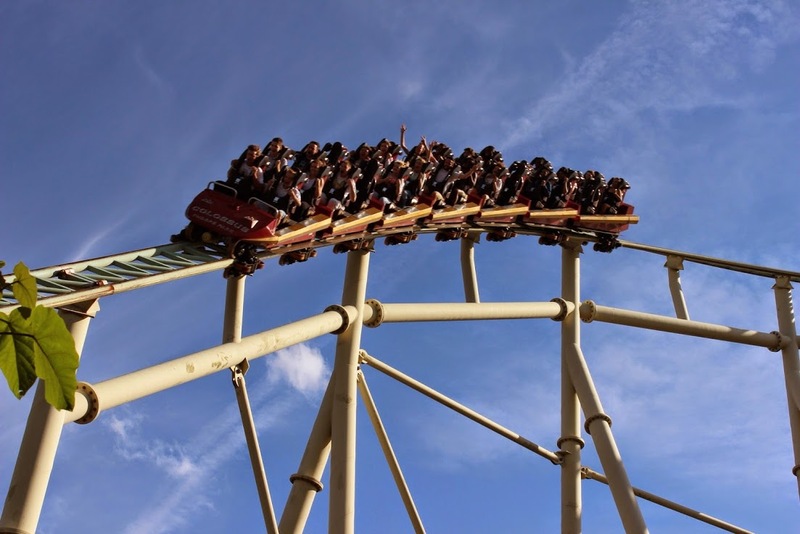 Towering over the rest of the park upon its d�but in the Lost City area in 2002, all eyes were on Thorpe for one reason: it had just shattered the world record for most inversions on a full-circuit coaster. 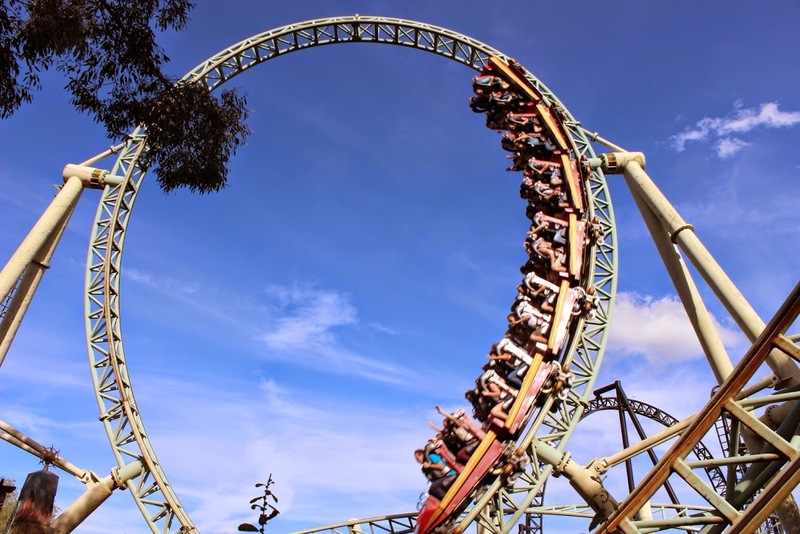 Colossus, built by Swiss manufacturer Intamin, offers riders the chance to flip, spin, and roll through the world�s first ten-looping rollercoaster. 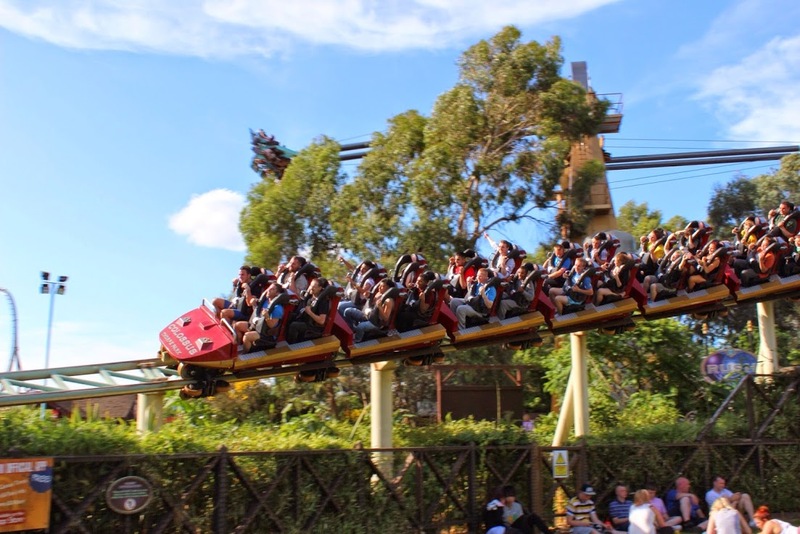 Discover the Lost City�s Aztec secret as you duck and dive over, under and around walkways, ponds and bridges! 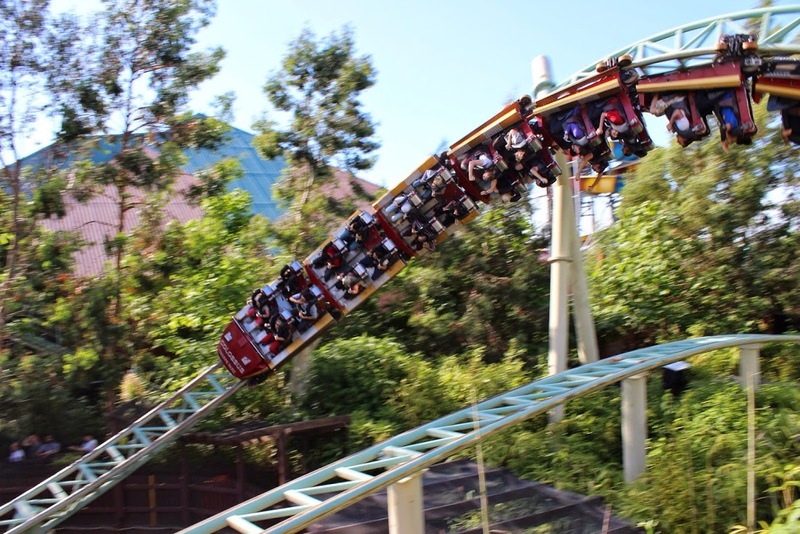 A front row queue system operates to offer guests improved views of the park when on the ride. It splits from the main queue when approaching the station. 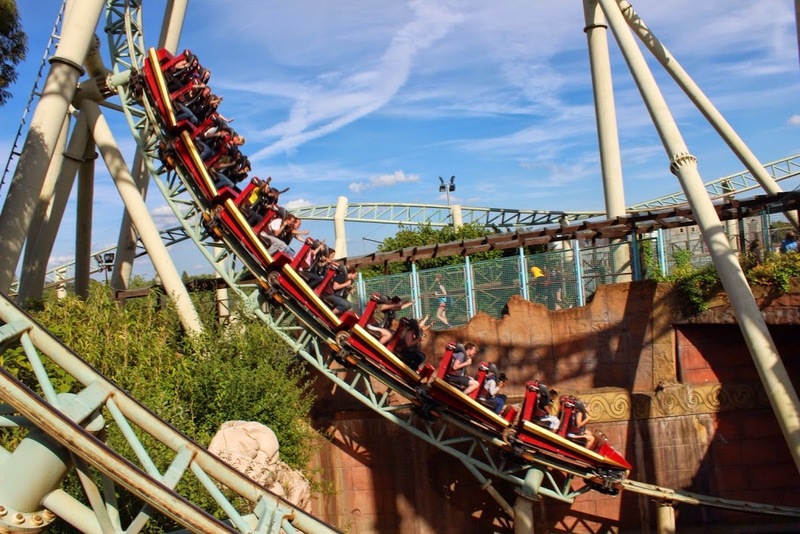 Please be aware that queuing for the front row will significantly increase your queue time as only two guests per cycle can ride. The two front seats also offer a much smoother ride than in the rest of the train. 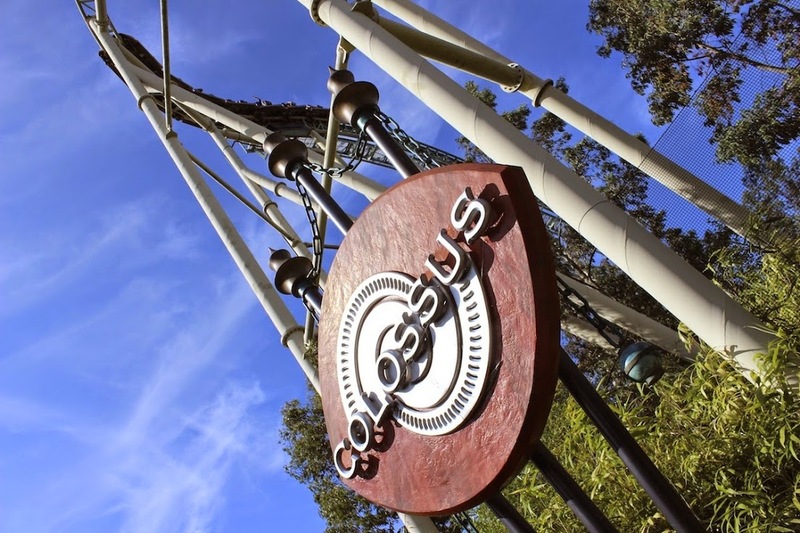 To Ride Colossus you must be at least 1.4m tall. 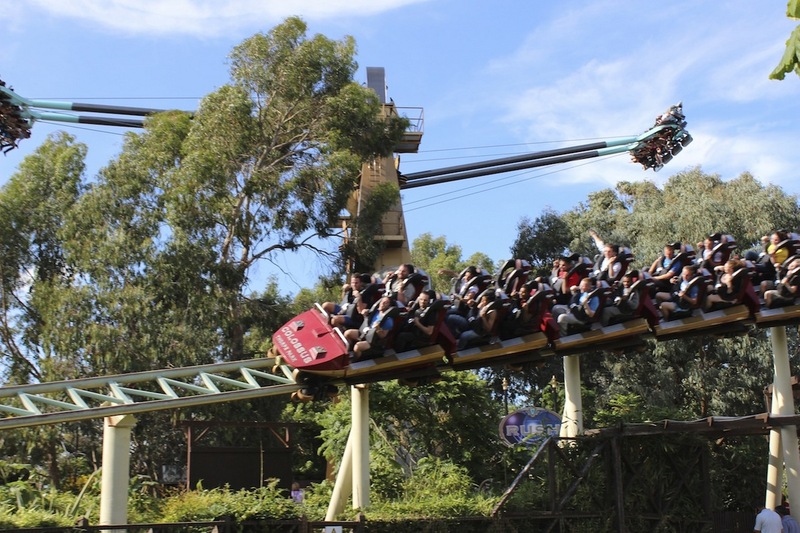 People approaching a chest measurement of 51 inches should try the test seat at the entrance or speak with a rides host.